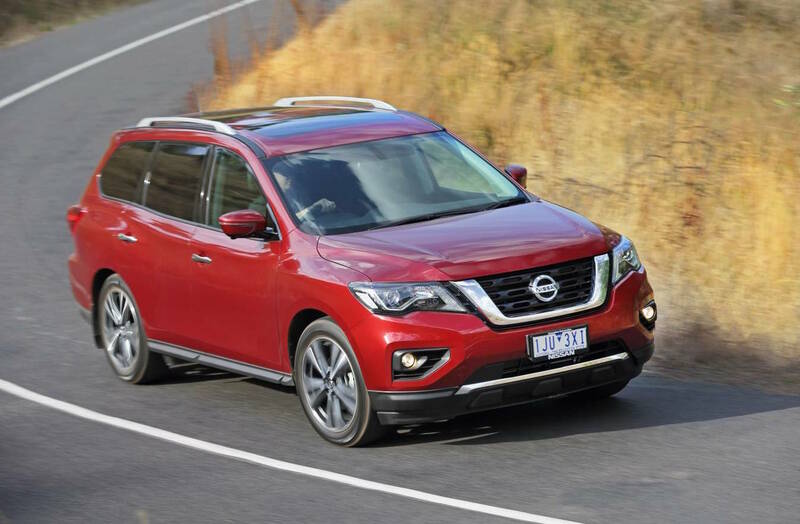 Nissan Australia has just announced the arrival of the all-new 2017 Pathfinder on the local market, the exquisite SUV now coming with new technology and more power under the hood. There are three variants available, the ST, ST-L and TI, with prices to range between $41,990 and $69,190. Please find below the full list with the entire range. Pathfinder 2.5L 4-cyl. ST 2WD HYBRID – $44,490. Pathfinder 2.5L 4-cyl. ST-L 4WD HYBRID – $60,690. Pathfinder 2.5L 4-cyl. Ti 4WD HYBRID – $69,190. Compared with the ongoing range, the prices are basically the same, except for the entry-level ST 2WD, which comes with a raised price of $500. All variants come standard with LED daytime running lights up front, the new 8.0-inch touchscreen media interface, triple-zone climate control, privacy glass and voice control. However, there are other elements that separate the models. For instance, the ST-L and Ti are now equipped with rear-view camera with around-view monitor with rear cross-traffic alert, and a suite of safety gizmos – autonomous emergency braking, forward collision warning, adaptive cruise control, moving object detection and so on. In the engine department, the 2017 Nissan Pathfinder is now offered with a 2.5-liter supercharged flat-four pot hybrid, with 188 kW and 330 Nm of torque, adding as well a much more potent 3.5-liter V6 engine, now modified to develop 202 kW and 340 Nm of torque. As a premiere, the car`s V6 engine is now enhanced with direct injection as well as a much higher compression ratio from 10.3:11 to 11.0:1. Other mechanics also include new pistons, e-VTC variable timing and intake manifold, which increase the overall performance.